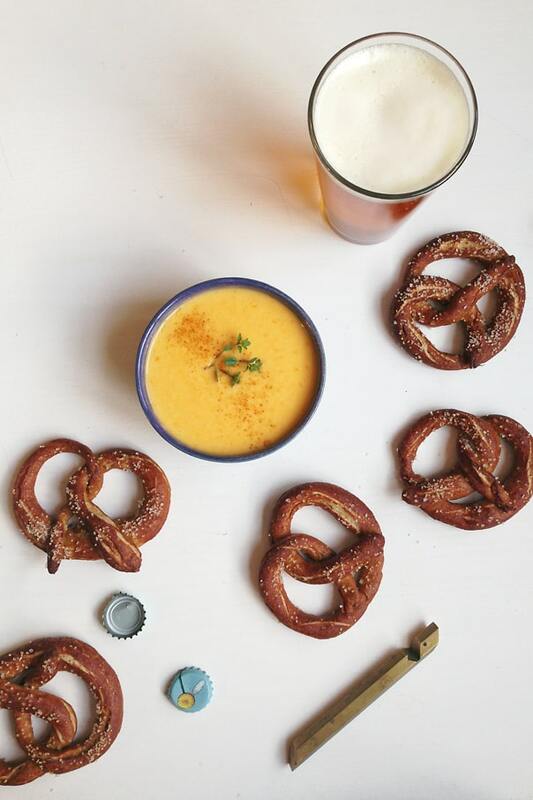 German Pretzels + Beer Cheese Dip, the perfect pairing for Oktoberfest or game day. 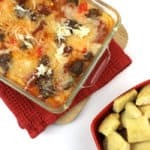 This appetizer is sure to please any crowd! I received product from Granite Mill Farms in exchange for this post. American Craft Beer Week ends on Saturday, and then come Sunday is World Baking Day. So many made-up holidays, I know. But beer and baking are two things worth celebrating. Why not mix the two, I say? 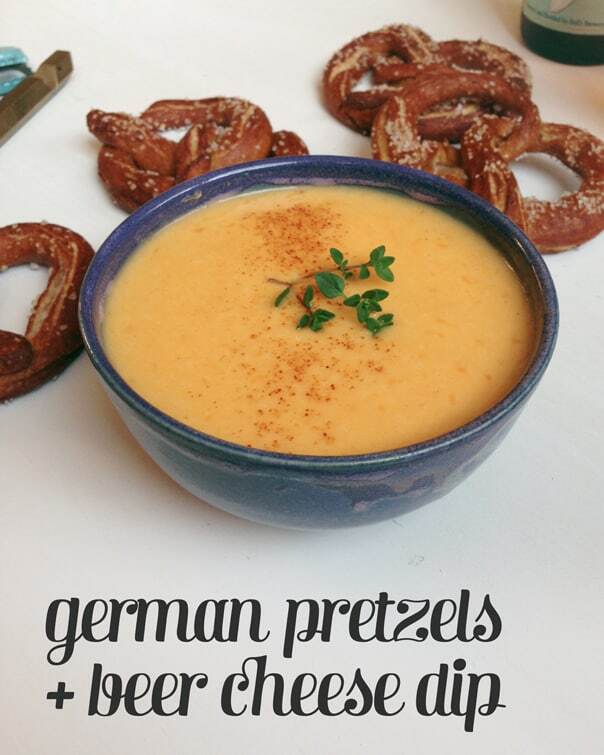 You can, with German Pretzels + Beer Cheese Dip. With these, we’ll have ourselves a hybrid holiday. Because both beer and bread are made from golden wheat, this pairing is meant to be. On the way to South Africa in March, we had a long layover in Munich. My mom and I ventured into the city center for lunch at the famous Hofbräuhaus. Some of the dirndl-donning waitresses carried wicker baskets filled with giant pretzels. And by giant, I mean easily a foot wide. I HAD to have one of those giant, shiny pretzels dotted with flecks of salt. So we split one. Ever since, I’ve been craving another one of those salty, crispy-edged, soft-bodied, bready pretzels. I had to recreate them. The good folks at Granite Mill Farms sent me a bag of their hard white wheat flour to try, so I thought I’d give it a go in this recipe. 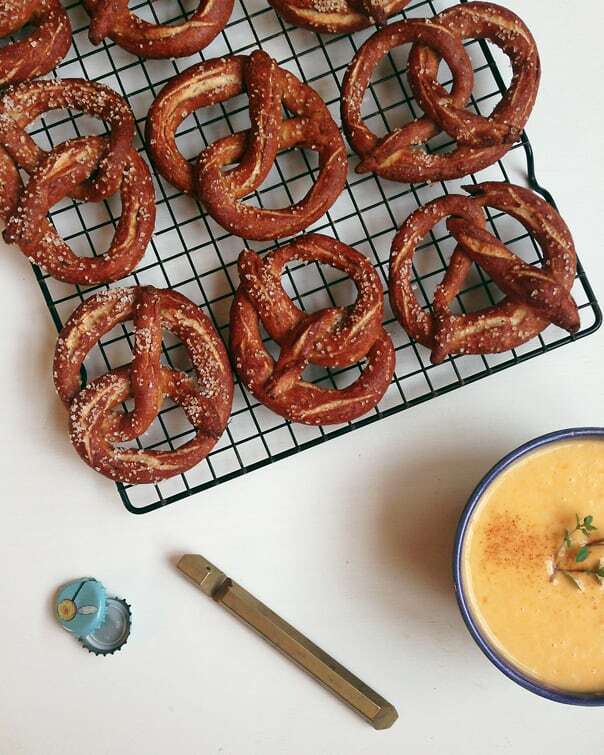 I paired these amazing soft pretzels with my Beer Cheese Dip. You can find the recipe today over at My Cooking Spot. Granite Mill Farms is a family-based business in the Rocky Mountains of Montana. 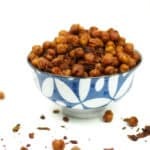 All of their grains are stone-ground, 100 percent organic and have no additives. Before it is milled, the grain is sprouted and dried, which changes the composition of the grain to make it more easily digestible. In a small bowl filled with with lukewarm water, stir in the yeast until dissolved. In a large mixing bowl, mix flours and salt together. Form a well in the flour mixture and add the sugar to the center of the well. Pour into the well the yeast and water mixture. Do not stir yet — let rest for 15 minutes. Add the butter to the mixing bowl and knead into a smooth dough. If dough is too dry, add additional water a tablespoon at a time. Form the dough into a rectangle and divide into 12 equal parts. Gently roll each piece to about 20 inches long, tapered toward the ends. Place on a cookie sheet lined with parchment paper. Chill uncovered in the fridge for 1 hour. Fill a large pot 3/4 full with water and bring to a boil over high heat. Stand back, and carefully add the baking soda to the water — the water will react when the baking soda is added, then fizzle out and relax. 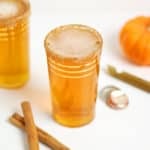 When it has relaxed, the soda bath is ready. With a slotted spoon, gently drop each pretzel into the bath for 10 seconds, then turn it over for another 10. (The pretzels will float when they are ready.) Place them on a baking sheet lined with parchment paper. Using a sharp knife, score the dough to add a baguette-like texture to the end result. Sprinkle with coarse salt. Bake the pretzels for 15 minutes for light-colored pretzels or 22 minutes for dark-colored pretzels. 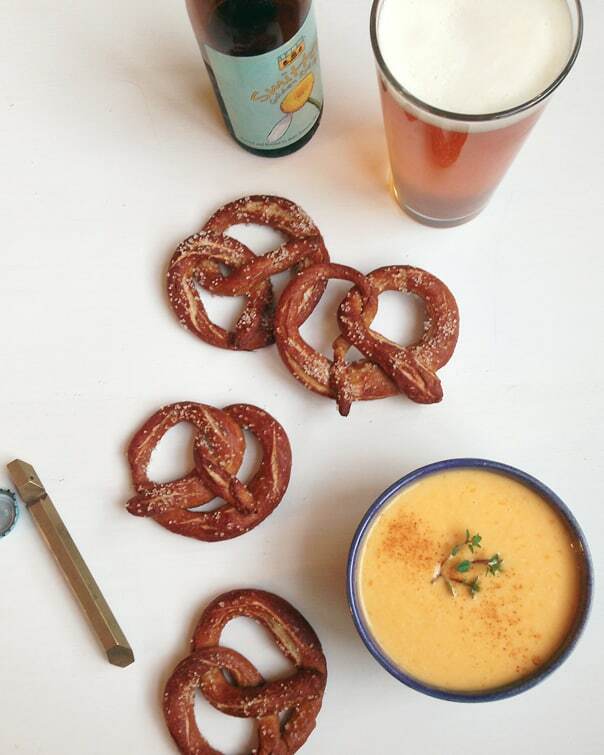 If making the Beer Cheese Dip, do it while the pretzels are baking. 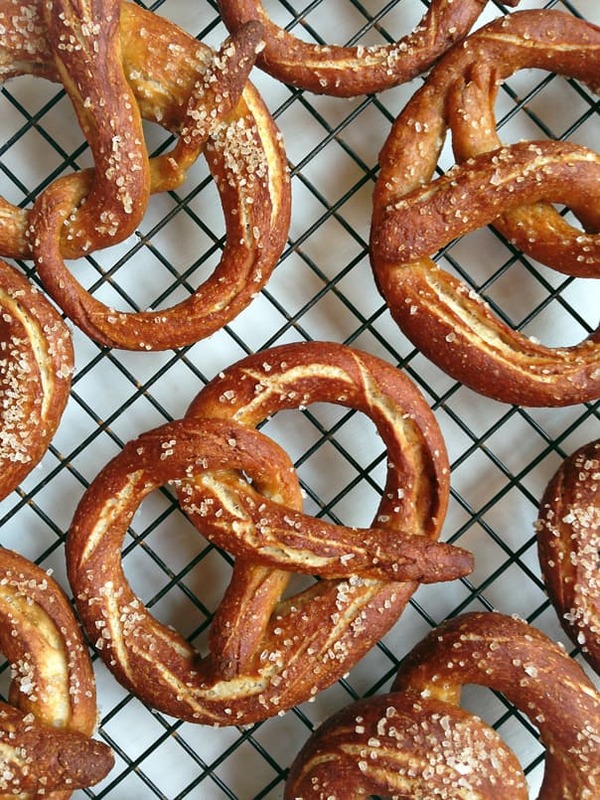 Remove pretzels from oven and let cool 15 minutes before eating. Store in an airtight container up to 2 days. Oh these look positively divine! 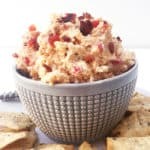 I’m a sucker for all things pretzels, and that cheese dip sounds SO amazing! 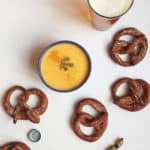 Fresh pretzels and beer cheese dip? How divine, especially for a sports get together or game night. Can’t wait to try these. Oh definitely, Rhonda! I bet they would be great fun for a game night. Thank you so much for your comment! Please do, Liz! I hope you get to go to Germany and try the real thing, but these babies are a pretty good match. I hope you like them. Thank you so much for your comment, Liz!